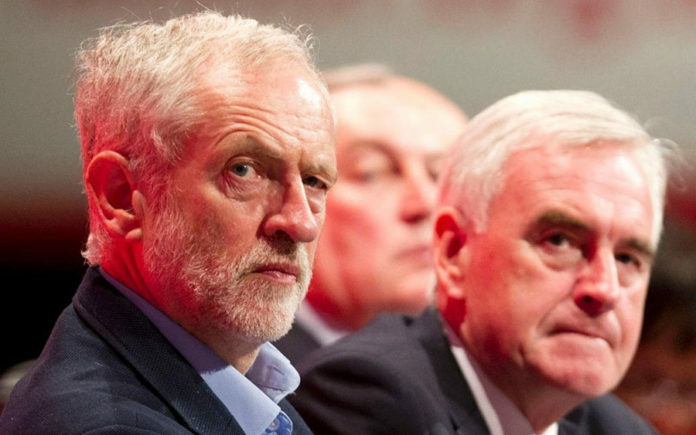 Labour "Equalities" Conference: NO Straight White Males Allowed! 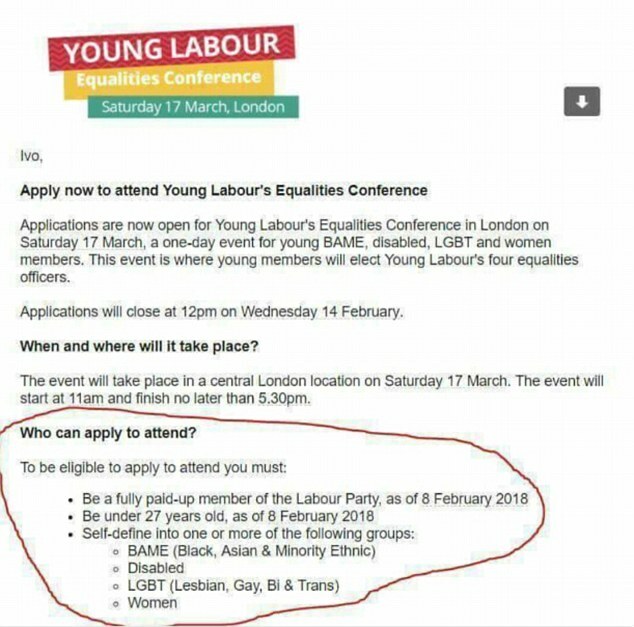 An advertisement for a Young Labour “Equalities” conference said that to attend, an applicant had to be under 27 and had to ‘self-define’ as ‘one or more’ of four groups. Effectively banning straight white men. You would have thought the Labour Party had learnt their lesson after being found guilty of discrimination against white people, read more about that here. Tory MP Andrew Bridgen has written to the Equality and Human Rights Commission to ask them to investigate whether the entry rules added up to “discrimination”. He said: “The Labour Party are no longer about equality or fighting against discrimination, they have been entirely taken over by identity politics and specific groups of activists. “They are a divisive party who want to put people into victim groups. They seem to believe that white, male heterosexuals have nothing to contribute to the subject of equalities. James Cleverly, the deputy chairman of the Conservative Party, said: “This is yet another example of discrimination by Labour. “Their lazy assumption that straight white men can’t fight for equality is shocking. It is essential that political parties represent each and every person irrespective of race, sexuality or age. A spokeswoman for Labour said: “There is nothing new about spaces for people with protected characteristics meeting to discuss the inequalities and obstacles they face. “The purpose of this conference is to ensure that members from disadvantaged groups are able to elect representatives to Young Labour’s National Committee. “All other positions on the Committee are elected online, via a ‘one member one vote’ System”. Labour clearly do not believe in a meritocracy. Would they, if ruling, forget laws are mainly made for the many and not the few?